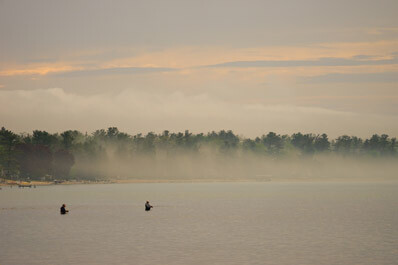 The Traverse City area is like a gateway to the Midwest's outdoor paradise. From our property you are at the doorstep of more fun, scenery, shopping, and dining than you can imagine. 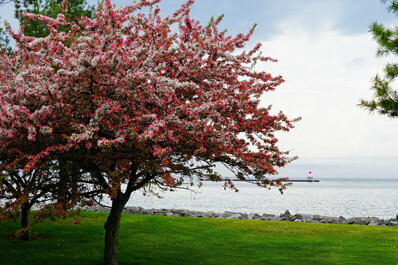 Our area is famous for our wineries, beaches, and cherry trees. But did you know we have a wealth of other opportunities available for every personality? 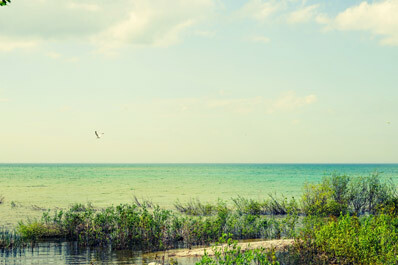 Traverse City itself is renown for coffee shops, restaurants, shopping, and entertainment. We even boast an IMAX® theater! When you're ready to get out of town, you're within a short drive of several quaint villages along Lake Michigan - each with its own unique flavor. Visit the official Traverse City Tourism website for a list of current events. From our driveway, you are very close to 5 lighthouses. 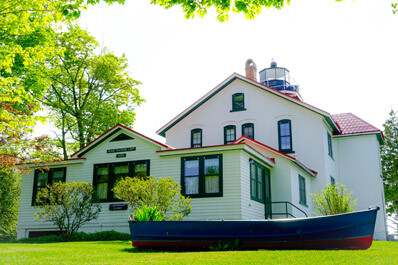 The Grand Traverse lighthouse is big, beautiful, and well worth a visit! Leeland, Michigan, is one of several small, quaint towns that is close by and well worth a visit. Between the apple orchards, the wineries, the cherry trees, the gardens, and the abundance of wildflowers, something is always blooming. 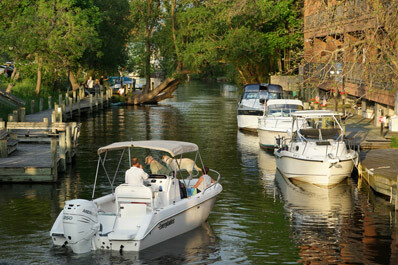 After a fun day on the Lake, boaters can come right into downtown Traverse City directly from Lake Michigan for dinner. 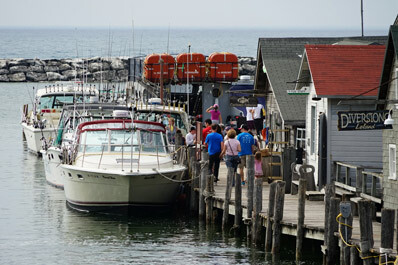 Don't be surprised if you see people fishing right from our beaches as you drive through town. Our water is clean and clear like the Caribbean - without the salt! "This is one of the most peaceful, relaxing and adorable campgrounds I've ever had the pleasure of staying at!" ~Lorin R.
Did you enjoy your stay at Everflowing Waters? Leave a review with us here. RoverPass members, submit your review here.